You don’t have to see the New York City Skyline to see spectacular sights aboard a Skyline Cruise. Yes, we can give you a unique view of the iconic sights of New York City culminating with a breathtaking pass by the Statue of Liberty. But our East River cruises by the Manhattan skyline aren’t the only trips Skyline has to offer. 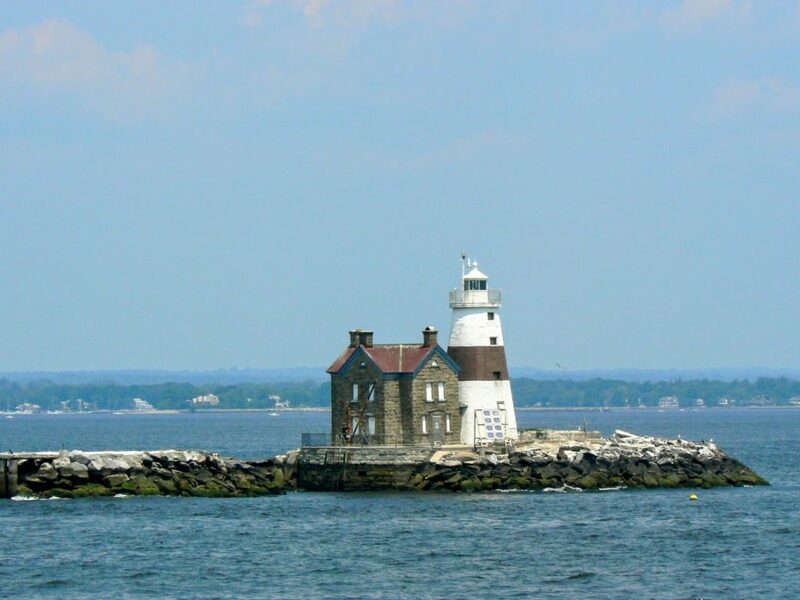 A popular and beautiful alternative is one of our Long Island Sound lighthouse cruises. There are a lot of reasons to charter our 3-deck luxury yacht, the Skyline Princess. You can have a glorious day or evening of sightseeing on the East River or Long Island Sound, and our ship is also perfect to charter for all types of events. We can make your wedding day everything you’ve ever dreamed of, particularly when your wedding offiiciant is our friend Captain Arnold. Skyline is ideal for corporate outings or business meetings. We’re also perfect for celebrations like Bar/Bat Mitzvahs, Sweet Sixteens, and Quinceaneras. Whatever you’re planning, we can make it special. And we want to tell you why our lighthouse cruises will be a day you and your guests will never forget. 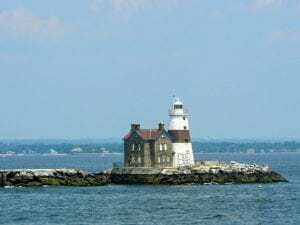 When you cruise the Long Island Sound aboard the Skyline Princess, bring a camera! You’ll see some of the most beautiful coastlines in the country with awe-inspiring mansions and quaint lighthouses. Many of our lighthouse cruises leave from our home port at the World’s Fair Marina in Flushing Queens. When you charter the Skyline Princess on the Long Island Sound we can also leave from ports elsewhere on Long Island or from Connecticut. You’ll travel under two famous suspension bridges, the Throgs Neck and Whitestone Bridges, which connect the Bronx and Manhattan. You’ll go past two historic forts. Fort Schuyler in the Bronx, a 19th Century fort that’s now home to SUNY Maritime College and Fort Totten in Queens which was home to a Civil War fortress. As you head west on Long Island’s Gold Coast you will travel past several lighthouses including Execution Rocks near Westchester County, Sands Point, a lighthouse that dates back to the early 19th Century and was once occupied by famed publisher William Randolph Hearst, and the Stepping Stones Lighthouse off the coast of Great Neck. You’ll also see spectacular Long Island mansions and sights such as the US Merchant Marine Academy in Kings Point and Hart Island, which served as an internment camp during the Civil War. Whether you’re looking for a day of sightseeing or planning a special event, the Skyline Princess is the perfect venue. The ship is fully climate controlled and departs all year round. There are tremendous food options from a buffet banquet to an elegant cocktail party. All of our food is prepared by our onboard chef. There’s music available as well as our top deck, known as the “Skylight Deck” has a dance floor and a space for a DJ. This deck can be open air or enclosed at any time. Whatever you’re looking for, let us know. Contact Skyline today.